Besides the rehearsal dinner at Brian and Shawns parents house, we also were setup for their outdoor ceremony. This is called our Going to the Chapel Package. What we do is provide wireless technology, ceremony coordination, and music playback. This way everyone will hear you exchange your vows. It was a gorgeous day at Sycamore Hills and the reception could not have been any better. Brian and Shawn were such a laid back couple. I love it when we have parties like these! We had wall lighting fixtures behind the head table which really made for one awesome backdrop for their photos. Amy DeYoung flew in all the way from Texas to take pictures of their wedding day. I saw some of her work and they turned out excellent! We played a lot of great songs throughout the evening. Mostly classic rock and 80s with some variety for the other guests. 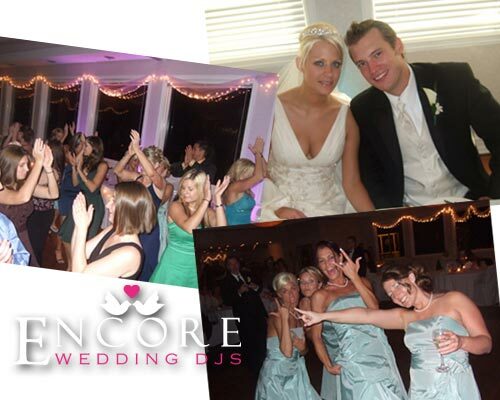 So if you are considering having us as your wedding DJs in Macomb, then check our availability in the upper right corner of our website and let us prove to you why we are your best source for entertainment and lighting.